The English language is a mish mash of many languages and one of the most difficult languages in the world to learn. It is also great fun to twist and contort for your own purposes. 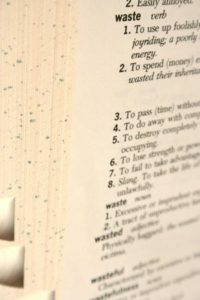 Here are some terms and phrases that spring from the rebounding values of reuse, recycling and waste reduction. A set of techniques that dismantle existing buildings with the purpose of reusing as much of the material as is possible (up to 50 percent or more in some cases). In deconstruction, remaining materials are recycled for reprocessing into new materials (drywall, chip board, mulch, metal, etc). As little as 1-2 percent of a building ends up in the trash. Visit our website’s Green Demolition Deconstruction Services page for links to case studies, photo galleries, and more information about deconstruction. Utilizing cast-off materials to create clothing and accessory designs. Visit our website’s photo gallery of Trash Fashion highlights from our annual show. 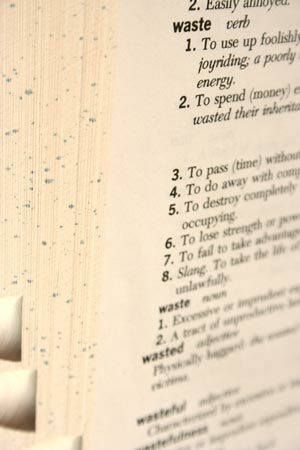 What terms or definitions can you add to our list of reuse and salvage?